Water damage in a house is truly devastating. Left unchecked, even a slow leak will rot out drywall and studs, create black mold, and eventually weaken major structural elements like joists and beams. Stopping leaks before that first drop of water is the best way to prevent water damage. Water damage isn't always the result of dramatic events like hurricanes and floods. Homes often are ruined by pinhole-sized leaks in pipes, poorly graded soil, blocked gutters, or a sump pump that won't turn on. In other words, much water damage results from easily curable flaws that most do-it-yourselfers can fix. Avoid pouring grease down drains. Always keep a strainer in place on sink and shower/tub drains. Make sure that your tub's overflow drain is draining and not leaking. 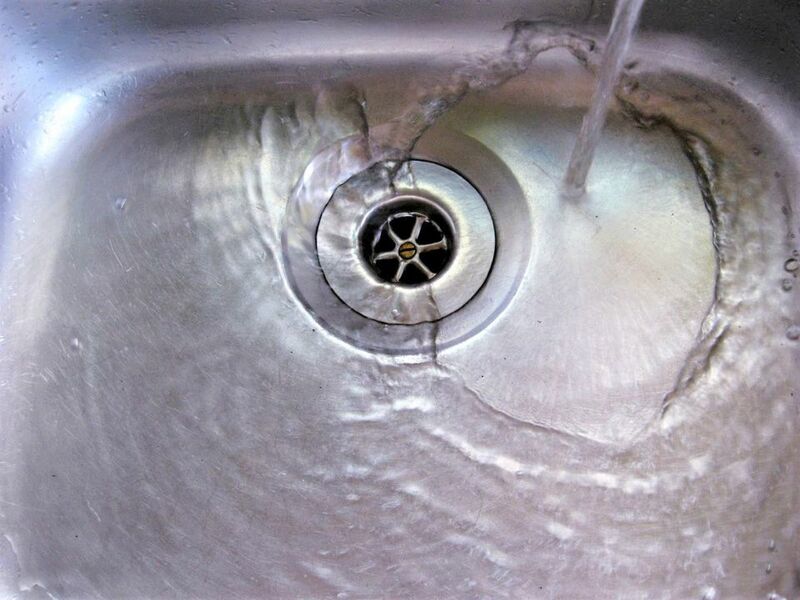 Regularly check on every sink's U- or S-shaped drain trap, located in sink cabinets. What better way to check for loss than by subtracting output from input? The old and highly imperfect method of doing this was by checking the monthly water bill for anomalies such as spikes in usage. A more reliable method is to purchase an electronic water leak detection system that installs directly on the main water supply line to the home. Sensors monitor water flow, pressure, and temperature. Leaks and burst pipes are caught before they cause too much damage. Products such as Flo and FloodMaster can even shut off the water main when this happens. Copper pipes, standard in many homes for decades, can develop pinhole leaks, especially when they age out to the twenty-year mark. Like any kind of plumbing joint, soldered copper joints can fail. But even within an unseamed length of copper pipe, corrosion can cause holes that result in silent but steady leaks. These drips will wreak havoc on ceilings and inside of walls. Changing out copper pipes for corrosion-free plastic PEX pipes ensures that no pinhole leaks will damage your home. Whole-house re-plumbing is invasive and expensive. But you can progressively change out sections of copper for PEX whenever you have access to a ceiling or ​wall, since PEX can be effectively mated with copper. Usually located in the basement or crawlspace, a sump pump represents your home's last line of defense in the event of rising groundwater or interior flooding. When water rises in the circular sump pit, the buoyant float triggers the electrically-connected motor, signalling it to start pumping water out of the home. A sump pump is a lot like a boat's bilge pump: it removes water from where it doesn't belong to a better area. Make sure that your pump is still connected to the GFCI electrical outlet; that the GFCI is actually working; and that the pump will turn on. Since pumps sometimes tilt over by accident, ensure that your sump pump is upright and that the float is working. Check that the sump pump is moving water by pouring water into the sump pit. 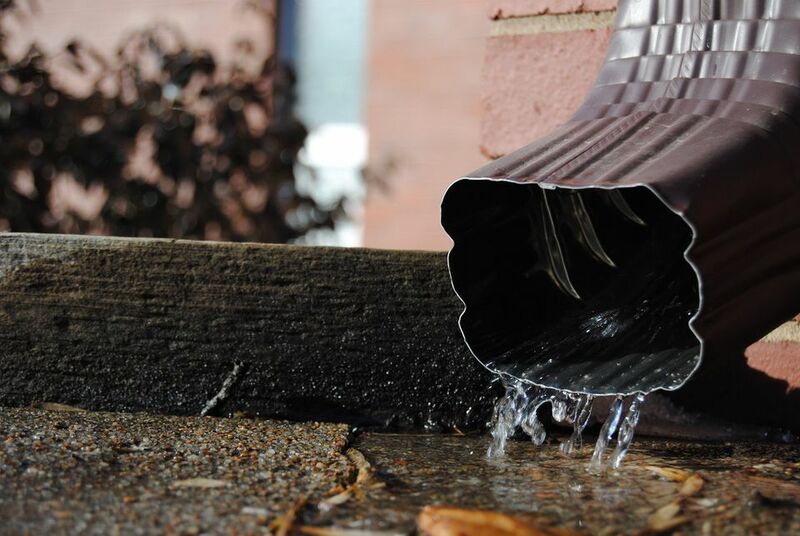 Like the pipes in your house, gutters and downspouts can be thought of as a type of exterior system of pipes that move water off of your roof and well away from the foundation. Water spilling over packed gutters erodes soil adjacent to the house and can compromise the foundation. Water leaking through foundation walls can damage walls and floors. Cleaning your gutters and downspouts once or twice a year is the way to prevent all of that water damage, simply for the price of hiring a worker or purchasing an extension ladder. Any opening in your home's outer envelope is a potential for leakage and water damage. The chimney is a giant opening that is typically not as well weather-sealed as windows or doors. Rain that comes through uncapped chimneys and especially through the sides, past the chimney flashing, will cause major damage in the attic, walls, and floors. Install a chimney cap or make sure that your cap is properly attached. Have a chimney technician or contractor inspect the metal flashing around the chimney to ensure that no water is passing between the flashing and the chimney. Have the chimney mortar repointed and sealed by a qualified mason or do it yourself. The ground adjacent to the house is supposed to incline as it nears and touches the foundation wall. Ground that declines toward the house results in pooled water. Pooled water can enter the foundation at that point or it can seep downward and come up through the basement floor. The easy and amazingly effective solution is to re-grade the soil so that it ramps down away from the foundation wall. With a shovel and a rake, move the soil around your home so that it declines five-percent for the first 10 feet. The farther you can continue the slope away from the house, the better off you will be. For little more than the price of a tube or two of exterior-grade caulking, you can eliminate leaks around windows and doors well before they begin. When the weather is fair, make a circuit of your home's exterior to look for cracked or missing caulk. Pay special attention to the top of the window casing, where water can accumulate. Downspouts pick up water from the gutters and bring it down the side of the house. It is a simple concept that works well. But downspouts that end perpendicular to the ground run the risk of thrusting the flow of water alongside the foundation. Rainwater pushed at such high volumes rapidly erodes the soil around the house and can leak into the home via the foundation, causing major damage. At the very least, add a 90-degree downspout elbow to the bottom to move the water parallel to the ground. Better yet, snap a downspout extension to that elbow to carry the water another 2 feet or more away from the house.